"He's making a dress out of crocodile and I'm making a dress for a crocodile." Say what? Or how about, "Not the minge, I haven't worn the minge." These are only a few of the random tidbits you'll hear coming from Jennifer Saunders (aka Ab Fab wondress) as she and Jean Paul Gaultier announce their collaborative effort for i-D magazine. Honestly folks, you just don't get comedy like this anymore. Jennifer and Jean Paul are a match made in heaven. They play off each other perfectly and help to make the host extremely uncomfortable in his role as interviewer. Oh if only half the things they were saying were actually to come true. 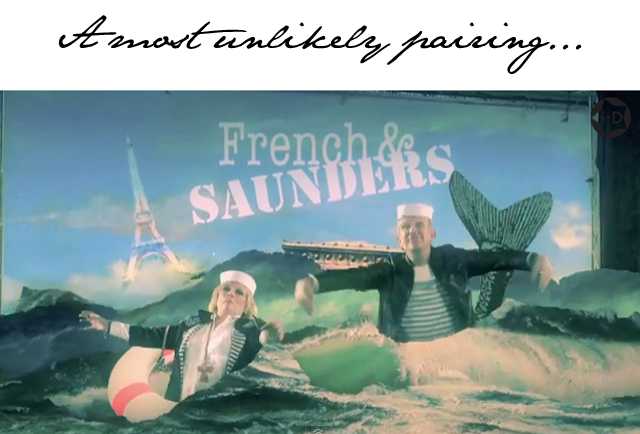 Could you just imagine Jennifer Saunders as the replacement for Jean Paul Gaultier?